The Keshe Foundation made a promise that it would release a request and information on its forum today about the next step in the release of its technologies for bringing peace and equality for Mankind. The following four PDF documents below in this link are important and need to be understood individually and then collectively as one unified paper. We have not suggested a place and/or venue in our invitation letter for the peace conference, as we thought that mankind’s choice would be the most appropriate. This peace conference can be held in Tehran, UN offices in New York, Beijing, Moscow or any another place on earth in a location that is acceptable to all. The point is not the venue, but to achieve world peace for Mankind. The date of 21.1.2013 for release of these documents is chosen for its importance and now mankind has 60 days until 21 March 2013 ( see the PDF letters) to set the scene to achieve what his forefathers could not do for thousands of years, by signing himself into accepting peace in its true sense individually and collectively. As a race man now has the technology in hand to enforce world peace and man collectively has the determination to achieve it. To be able to achieve world peace and see the process through, the Keshe Foundation is moving its headquarters to a new location and out of its present prison of Belgium, which has been enforced on it by international political pressure for the past nine years. The Foundation will soon announce where it will make its new home so that we can see this treaty through safely. In this way all political restrictions and press restriction on the Keshe Foundation will be removed and we will collaborate with all citizens of the world to make sure that the world peace treaty day can be realised. Please collaborate with the Foundation and let today be the day when man starts a new chapter for humanity. Our goal is for every man on this planet to accept and sign themselves into the world peace treaty with their deeds, their hearts, their soul and in their words. The Foundation calls upon world citizens to do what they have done in the last twelve months and as individuals to become a MESSENGER OF PEACE for your home, city, nation and mankind, and take the messages in these four letters to all world leaders, world ambassadors, mayors, religious leaders, your neighbour, brothers and sisters. This can be achieved by putting these four letters out everywhere, be it on the net, media, social media, home, work place, palaces and parliaments, and by encouraging your governments, leaders of communities and individuals to sign the treaty and to organise and attend peace conferences organised by you and your nation. Please do with this message as you did with encouraging your governments to accept the spaceship technology USB key. I thank you for your support and hope we can achieve together in the near future what has eluded mankind from the beginning of time. It is time to start a new chapter in the life of man on earth, where peace and serving humanity becomes the centre and focal point of every man and not the false materialistic life of today which has brought about so much misery for man from his inception on this planet. I cannot imagine that any true man of peace or world leader will refuse to sign and to act upon what he has committed his nation, his faith and himself to by signing this treaty. …and probably many more to come. 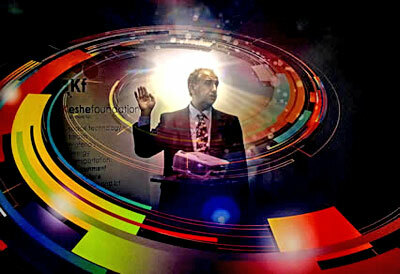 The Keshe foundation, founded by Mehran T. Keshe, is now offering their technology to humanity for free! To make sure the distribution is orderly and equally they are seeking collaboration with governments to spread the knowledge and inventions. A few powerful governments and corporations are only seeing threats in the technology offered. We need to make this offer known to the whole world. The more people know it the more difficult it will be to stop the progress. We need to learn as much as possible about this technology ourselves by assimilating the free information available from the Keshe foundation’s website. We need to write the ambassador of our country in Belgium to attend the conferences organized by the foundation to explain about the technology, so he/she can verify the validity of it and in turn will persuade the country as a whole to accept and deploy the technology. A form is available at the Keshe’s foundation website to invite your ambassador to attend the conferences. Please view the video for a full explanation. The video is undertitled in Bulgarian, Dutch, English, French, Portuguese, Slovak and Slovenian. Click below the video window on the icon titled “captions” and choose your language. Born in Iran in 1958, son to an X-ray engineer, he was introduced to the world of radiation and nuclear at a very young age. In the mid-seventies he moved to Europe for further education in the field of nuclear physics. In 1981 he graduated from Queen Mary College, University of London, as a nuclear engineer specialized in reactor technology system control. He has spent the past years completing this system for production of gravity and energy using a radioactive, clean and safe, hydrogen fueled reactor. He has covered all aspects of the design of a new plasma nuclear system from zero base to it’s final present stage. These being the design, fuel, control and applications. Since 2002 he has concentrated his effort to finish the full design of his technology for launch into the scientific world and industry. He was invited by one of leading western country’s, through its government office organizations in September of 2004 for evaluation of his technology. His technology was considered by scientists at University level from November of 2004 until March 2005. In March 2005, the report from the university has identified that energy production through this new technology is feasible. European and international patents for technology have been applied in early October of 2005for all aspects of possible use of the new technology, covering some hundreds of applications. At the end of 2005 and the beginning of 2006 several static plasma reactors were built to confirm the theoretical insights stated before. These static reactors all work at room temperature and at normal atmospheric pressure. They provide voltage and current. Since the beginning of 2006 several prototypes of dynamic plasma reactors specifically designed to achieve lift and motion were built and successfully tested. Through development of new systems, deposits of nano-carbon layers are generated, and Raman spectroscopy has confirmed that these to be in SP2 Sp3 form. Tests of health use of plasma reactors, in cooperation with doctors have been achieved whichresults of some of trials can be seen on the health section of this web-site. Publishing of a paper about the direct capturing of CO2 and CH4 from the environment was completed, where the CO2 and CH4 in a liquid state at room temperature and room pressure was achieved. The CO2 and CH4 were proven by IR and XRD spectroscopy performed by a Belgian University. In July 2009 the first book “The universal order of creation of Matter”was published. In the first months of 2011 the second book “The structure of the light” book was published. In October of 2011 the third book “The Origin of the universe” was published. In July 2009 a new book, titled “The Universal Order of Creation of Matters” written by nuclear engineer Keshe, is published. One of the topics discussed in this book is that how Matter, Antimatter and Dark Matter are created in the universe. What scientists at present call elementary particles (like quarks and so on) are themselves in fact collections of smaller magnetic fields, which in group as dynamic plasmatic magnetic fields and their interactions with other dynamic plasmatic magnetic fields, lead to creation of quarks and so forth. Where in fact, what is called the mass of the quark, this in reality is created through the same method as the mass of any other object in the universe and is purely due to the interaction of constituent plasmatic magnetic fields within the center of the Matter. Through tests done, where separation of these Matters of plasma in reactors were achieved, and, by using the effects of the interaction of plasmatic magnetic fields of Antimatters within the cores of reactors forces of magnitudes were created which are unknown in todays’ world of physics and industry. As we are helping with series of books which have been published and to be released, to build the full knowledge of the structure of the operation of the magnetic fields and their interactions in the world of creation for man to understand the entire process, one comes to the point that one has to explained different proportion of this entity in different levels of creation of the greater universe and not the man’s universe. In the first book the creation of of matter, the operation and interaction of smaller fields, which leads to creation of matters was explained. In the second book we merely explained the method of travel of the collection of fields in the form of so called light. In this third book, it is further I have explained the operation and interaction of a bigger cells of the same fields, which these leads to creation of the mans universe and more and what is too much for the man to understand with his present scientific knowledge and he calls it his universe.